Kim Kardashian and Beyoncé proved they are friends after all as they cosied up for a photo at the star-studded Met Ball on Tuesday evening. The famous friends , who reportedly got off to a rocky start, were more than happy to be snapped together, with pregnant Kim promptly posting the photo to Instagram. 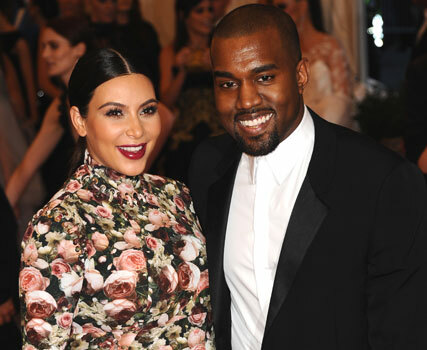 While Beyoncé has attended the Met Ball in previous years, this was the Kardashian sister’s first time in attendance, bagging an invitation as a guest of the evening’s top performer, Kanye West. And as the A-list mingled, the reality TV star tracked down Beyoncé for a chinwag. But it’s thought they haven’t always been so friendly. Insiders say that Kim Kardashian and Beyoncé didn’t immediately hit it off when Kim started dating Jay-Z’s close pal Kanye West in April last year. At the time, it was reported Bey banned Kim from her inner circle, even ignoring her at concerts where their respective other halves were playing. But the pair have since been spied at several of Kanye West and Jay-Z’s gigs together, and downplayed rumours of a feud.